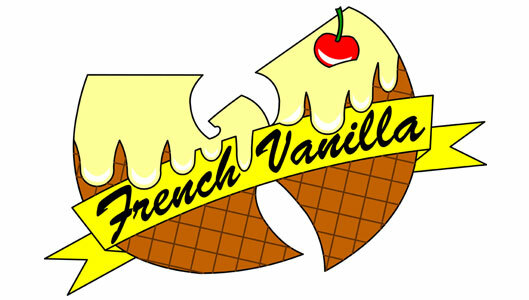 (If you want to watch the video, all you gotta do is go to YouTube and search “Wu-Tang Ice Cream”). 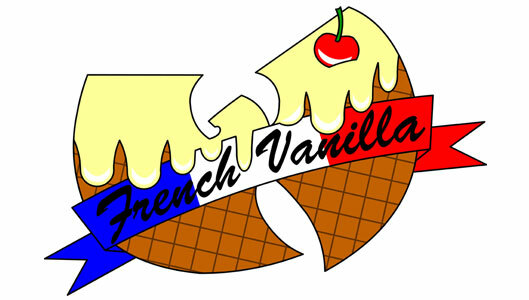 To me, the original logo was very simple, just the Wu-Tang “W” logo with the flavors in text. That’s it. Not much more to it. At first, I thought to try something different with the “ice cream” thought in mind – maybe an ice cream cone with the flavors in different colors? 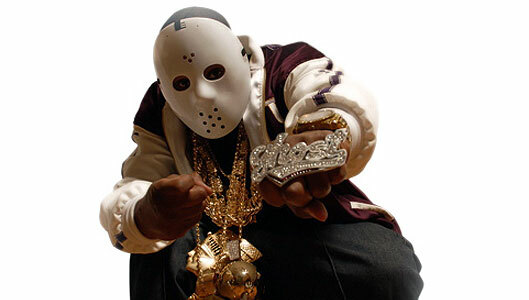 Maybe use the Ghostface Killah hockey mask in the cone and put the ice cream on top of it? The song also had a lyric by Method Man that said “with the cherry on top”, so maybe an ice cream cone w/ a cherry on top? 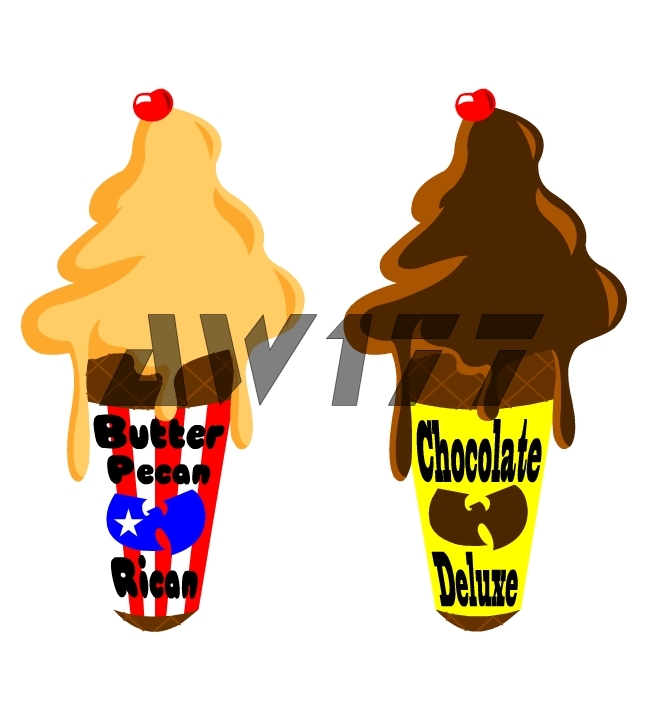 The swirl of ice cream on top would be in different colors to signify the flavors recited in the song: French Vanilla, Butter Pecan, Chocolate Deluxe and Caramel Sundae. A cherry would go on the top (this would also represent something else, but I’ll let you figure that on your own). However, I didn’t really like the Ghost mask in the logo and Ghost himself told me that he didn’t want to incorporate the mask into his designs anymore, so I decided to take it out. It didn’t really go with the ice cream design anyway; but I like how it looked so far, so decided to do a quick vector of it to see how it would look like. Anything I do at this point would not guarantee me that it would be used, so to do something too detailed wouldn’t make sense, but to do something too simple would not look good – you need to find a balance between what is simple and too much. I would have to let Ghost’s people look at this and let them decide if they want to use it or not, so it needs to be ‘enough’ for now. Not bad, how would it look without the outlines? 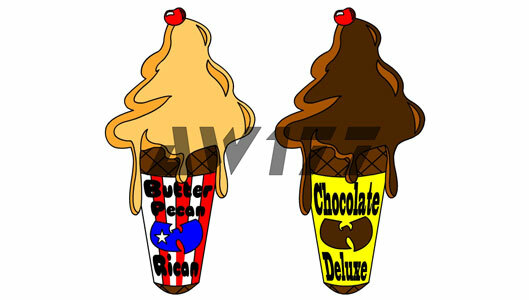 The elements here are the same as the initial ice cream cone designs – the “W” Wu-Tang logo is the cone, the flavor ice cream is dripping on top of it with a cherry on top. 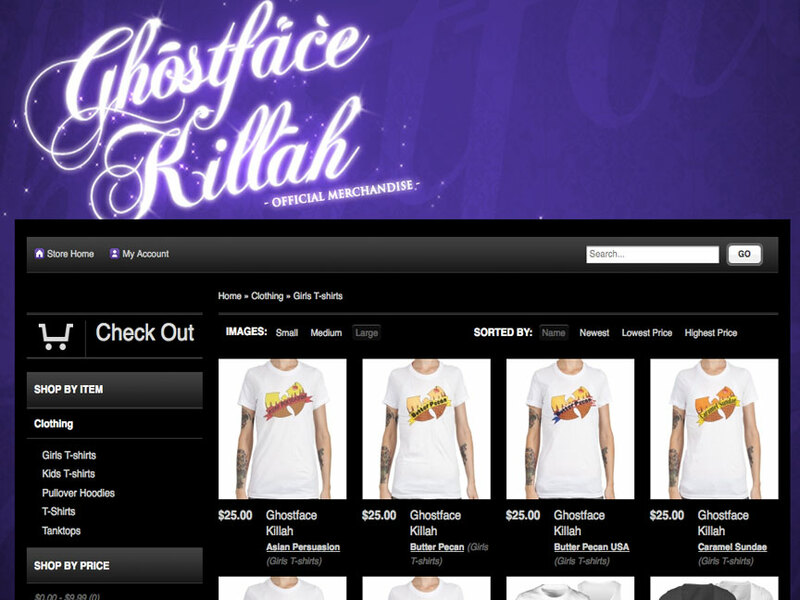 To top it off I added a banner across it with the flavors in different fonts. Simple but effective. Definitely one of the greatest highlights of my art/design career, to do something for one of the top MC’s in one of the best hip-hop groups of all time. It’s probably the first time I’ve been starstruck to chat with Ghost online as well. 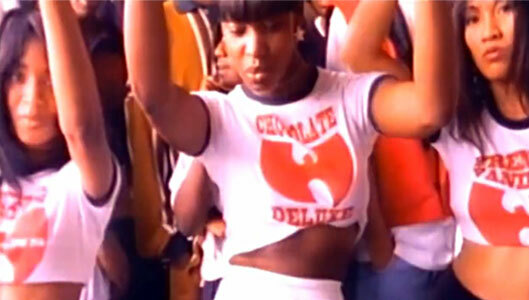 I’ve been listening to Wu-Tang since ’92 all the way to this day. 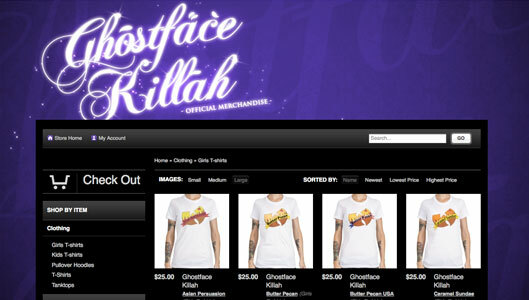 Can’t give enough props and respects to Ghostface Killah and his people for giving me this chance and opportunity. A future blog post and featured project on my site will include other designs that were either considered for use, cut, rejected or never mentioned. Hope you enjoyed this blog post and that it gave you an insight to my design process and help those who are new to the design game. Where can I get a WU ice cream shirt that says caramel sundae ?